A Sunday night fire at 26 Ashford Street in Allston has left six people homeless. The owner of record is Lenore Ryan, who lives nearby on Wadsworth Street, although the deed that transferred the property to her in May 1997 records a Boca Raton, Florida address. The city of Boston lists it as a two-family with an assessed value of $546,200. The area has been the scene of two other fires over the past year and a half, at 84 Linden Street and across the street at 87, with one resulting in a death and another in serious injury. Map here. Last I checked, 87 Linden Street was boarded up and 84 Linden Street had been demolished. Three gutted homes within blocks of each other are not a good thing for the neighborhood. 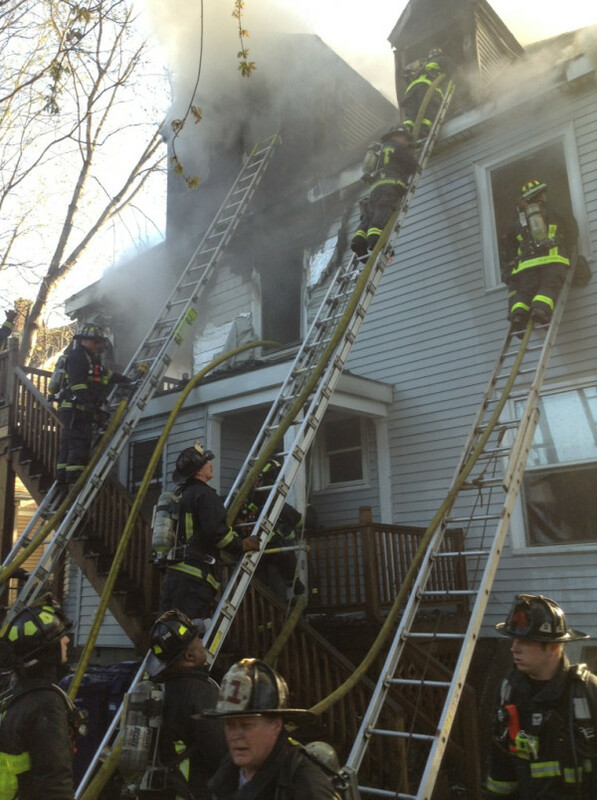 A fire this morning at 87 Linden Street in Allston has left one person dead and 15 people injured. Six of the injured were firefighters, the others were residents of the house. The BFD arrived at the location at about 6:35AM. City records list the owner as Anna Belakurova of the same address. Since she does not take the residential exemption, it is doubtful she lives there. The property is taxed as a two-family with an assessed value of $615,500. She purchased the property in January 2002 for $690,000. At the time she listed her address as 34 Westgate Road in West Roxbury. January 2012 there was a fire across the street at 84 Linden that left a student with a brain injury when he escaped by jumping out a window.